Joandrea McAtee, 27, was arrested on Friday. A school bus driver in Indiana is under arrest after students filmed her allowing kids to drive the bus. Joandrea Dehaven McAtee, 27, was arrested on Friday and charged with felony neglect of a dependent. A person can be charged with neglect of a dependent if a decision "places the dependent in a situation that endangers the dependent's life or health," according to Indiana state law. According to police, McAtee allowed three students -- an 11-year-old, 13-year-old and 17-year-old -- to drive the school bus for short distances Thursday in rural Valparaiso, Indiana. There were other students on the bus at the time, some of whom recorded the incident. "First, what you gotta do, is put your foot on the brake," the driver, identified by authorities as McAtee, is heard saying in one video. McAtee was immediately fired by First Student, the company which operates buses in Porter Township, after the video and allegations surfaced. "We are incredibly disappointed by the actions of our former driver," First Student said in a statement to ABC News. "There is nothing more important than the safety of the students we transport. Behavior such as this is completely unacceptable and totally at odds with what we stand for as a company. The driver has been terminated. We have a zero-tolerance policy for employees whose actions may harm or put others at risk." 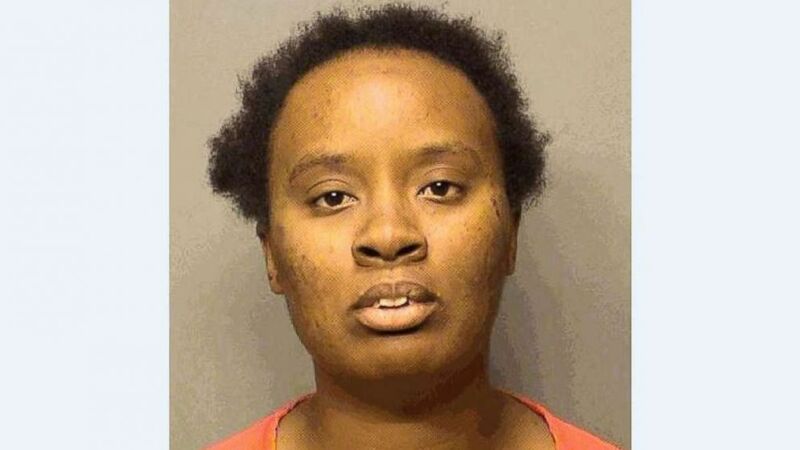 (Porter County Sheriff's Office) Joandrea McAtee, 27, was charged with felony neglect after she allegedly allowed three students to drive her school bus. She was fired by the bus company. Porter Township School Corporation said students and parents both reported the conduct to the school administration and its investigation "quickly substantiated" that McAtee allowed students to drive the bus. "Upon receiving information regarding this incident, PTSC administration, First Student (our bus service provider), and the Porter County Sheriff’s Department immediately began an investigation," the township said in a statement. "The investigation quickly substantiated the allegations and the driver was relieved of all duties involving Porter Township School Corporation. The Porter Township School Corporation is angered and disappointed in the actions of this driver. The safety of our students is a top priority. McAtee's only previous arrest in the state was for speeding in her own vehicle in New Chicago, Indiana, in February 2017 for driving 54 mph in a 35 mph zone, court records show. She was found guilty and paid the resulting fine. ABC News' Alyssa Acquavella, Cammeron Parrish and Brendan Rand contributed to this report.